In 1901, Max Grabowsky established the Rapid Motor Vehicle Company as one of the first independent developers and manufacturers of commercial vehicles like trucks. In 1909, General Motors purchased Rapid, thereby forming one part of its commercial vehicles division. That same year, General Motors also purchased Reliance Motor Car Company. The two existed independently under the GM roof until 1911, when Rapid and Reliance were merged to make a unified commercial division, aptly called General Motors Truck Company, from which the “GMC Truck” name was originally derived. And in 1929, the “GMC Truck” marque was first seen on vehicles at the New York Auto Show, thereby marking the first year of what we today know as GMC. The brand has come to make all kinds of vehicles through the years, some of the most notable ones being those for military use. GMC’s relationship with the U.S. military started during World War I, just as trucks were replacing horses and mules to move troops, serve as ambulances, and provide other tactical support. In 1916, the U.S. Army chose the GMC Model 16 for the Class AA standard ¾-ton truck for the duration of the war. 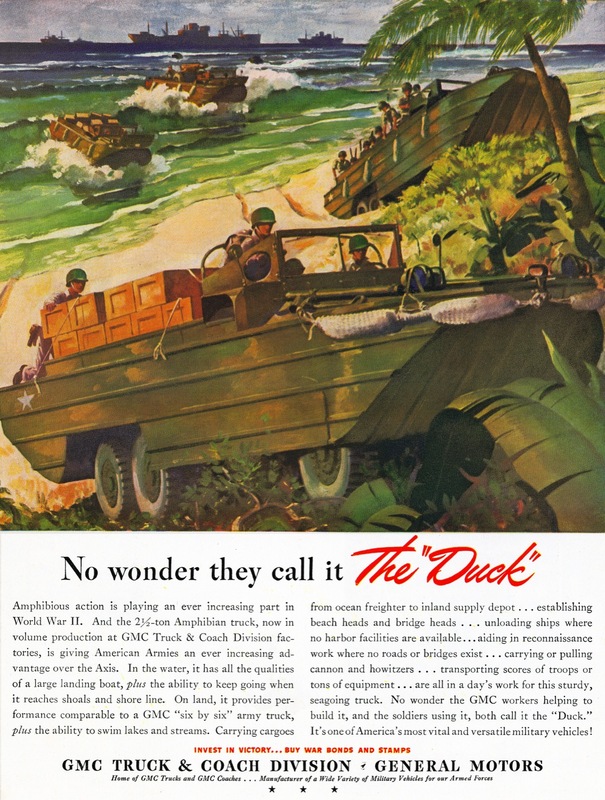 During WWII, GMC showcased its amphibious military “Ducks” in popular magazines of the day, and encouraged patriotic readers to “invest in victory” and buy war bonds and stamps. 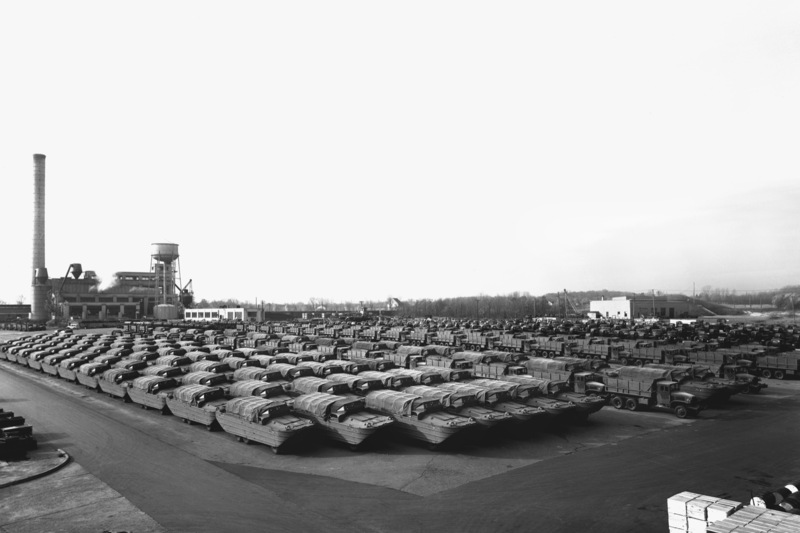 From 1942 to 1945, sales of vehicles to civilians all but ended as manufacturing resources were redirected toward the war effort. 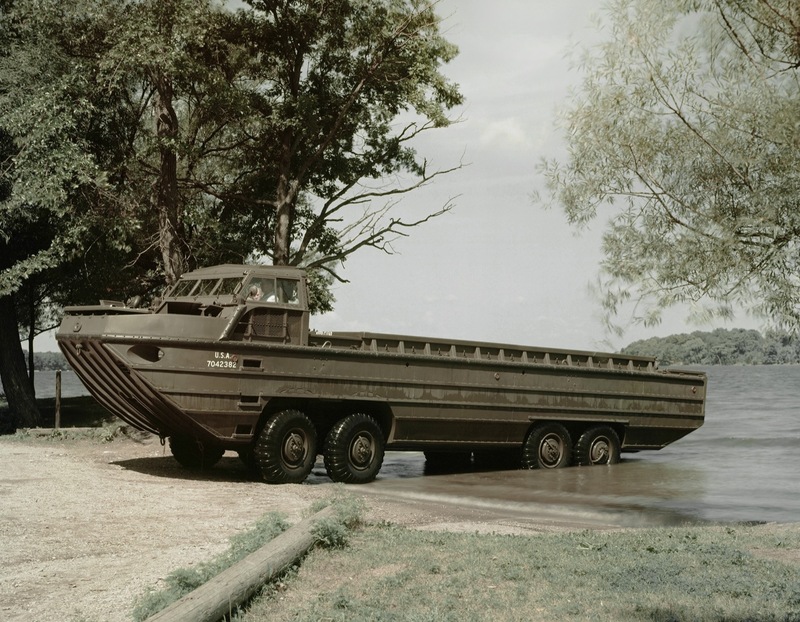 The first “Ducks” were completed on a modified bus assembly line, and were delivered to the U.S. Army in 1943. The amphibian had a unique central tire inflation system that enabled tire pressure to be controlled from the seat, with higher pressure making craft navigable on pavement and lower pressure providing better flotation and traction on soft ground, such as on beaches. Sales of GMC vehicles to civilians nearly ended as manufacturing resources were redirected to support the war effort. 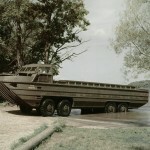 The last Ducks were produced in 1945, and surviving units were used for military training and in the tourism industry. In 1944, the Army-Navy awarded GMC with the “E” Award for Excellence in war effort. The U.S. Army named the GMC 2½-ton 6x6s the best trucks in service, and the GMC Duck the most outstanding of new ordnance weapons. 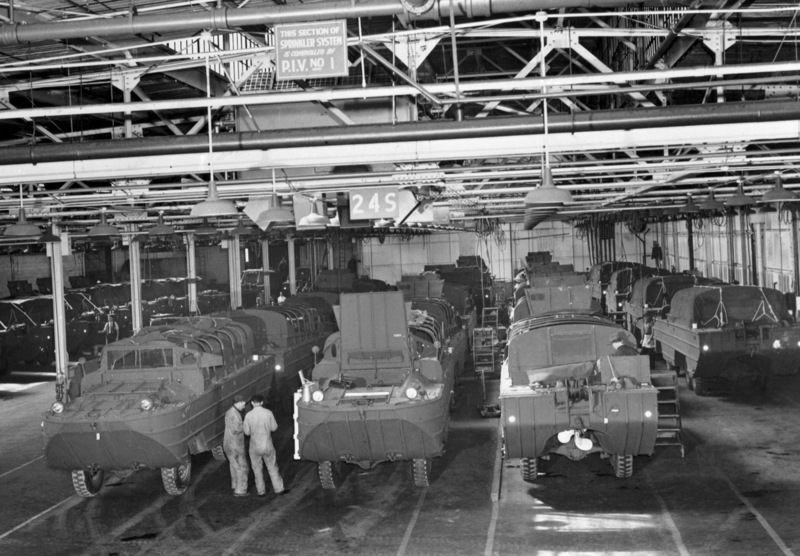 GMC has continued to support the U.S. military forces after the World Wars. 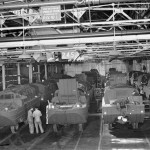 In 1963, for instance, the division produced specially-designed tractors to enable the U.S. Air Force to transport Minuteman guided missiles. In 1991 and 1992 during the Persian Gulf War, GMC light trucks were delivered to the joint military forces of Saudi Arabia. 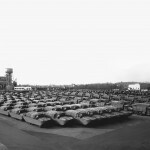 They included heavy-duty pickups converted to troop/cargo carriers and 900 heavy-duty chassis cabs with ambulance bodies. Though the brand supplier involvement with the military forces has diminished during the 21st century, GMC is supporting members of the military in other ways, such as by providing vehicle discounts, including the current expanded GMC military discount to all veterans, regardless of separation. 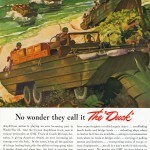 During WWts amphibious military “Ducks” in popular magazines of the day, and encouraged patriotic readers to “invest in victory” and buy war bonds and stamps. From 1942 to 1945, sales of vehicles to civilians all but ended as manufacturing resources were redirected toward the war effort. Hello. I recently tried to purchase a GMC vehicle using my military discount through GMC Military discount program and ID Me to verify my military. I visited the dealership and was told that I would get a better discount not using the military discount. So, this means to me that someone who has not served their country can get a better deal on a vehicle than someone who served in the military. That was insulting to me and very offensive. So why have a military discount program when anyone can walk off the street and by a vehicle with a better discount than a military member. Wheres the incentive to military members? ?